Our bespoke software system, TrackLingua, provides a convenient on-line method for your team to directly request and receive translations as well as access relevant language resources. By utilising this system you can significantly reduce admin load and keep track of all requests by either individual users or teams. The system can be branded & customised to suit your specification to allow integration with your existing internal system and order requirements. To properly take advantage of the customisable features of TrackLingua we recommend a consultation with one of our in-house developers to ensure the system will deliver to its fullest capacity. 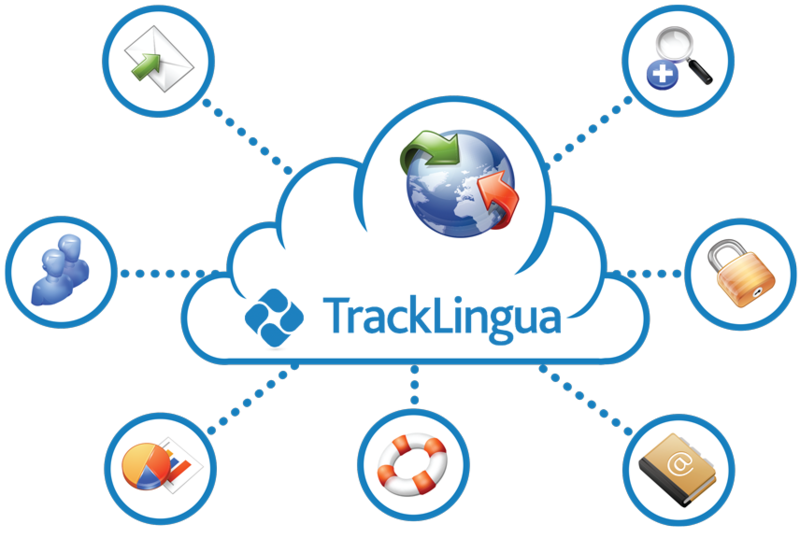 Based in the cloud, TrackLingua provides a straight forward easily accessible system for launching and retrieving language projects. There is no software to download, just log in and access all your language projects wherever you are. TrackLingua is designed to complement your work flows instead of forcing you to adapt to our systems. Our team of specialists can work with you to adjust various options of the platform to work just how you need it to. You can read more about a large scale customisation we undertook for a major UK retailer in our case study. TrackLingua simplifies the process of requesting and receiving translation. 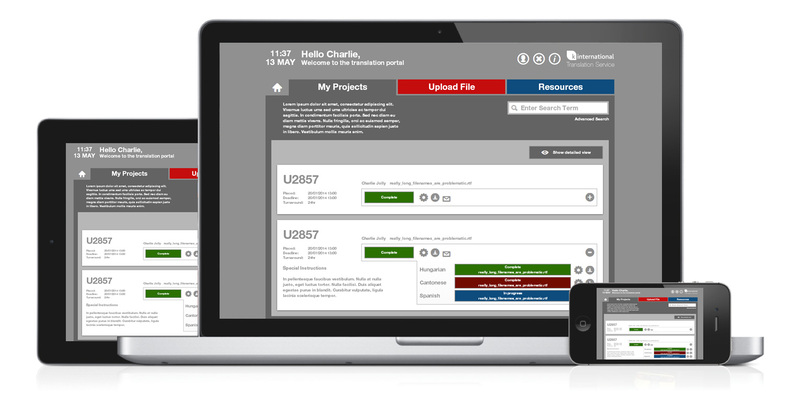 Less time spent waiting for quotes or emailing back and forth with suppliers, just upload your file and the systems take over, when your project is ready you can download it directly from TrackLingua. No hassle, quick, easy to use and cost effective. 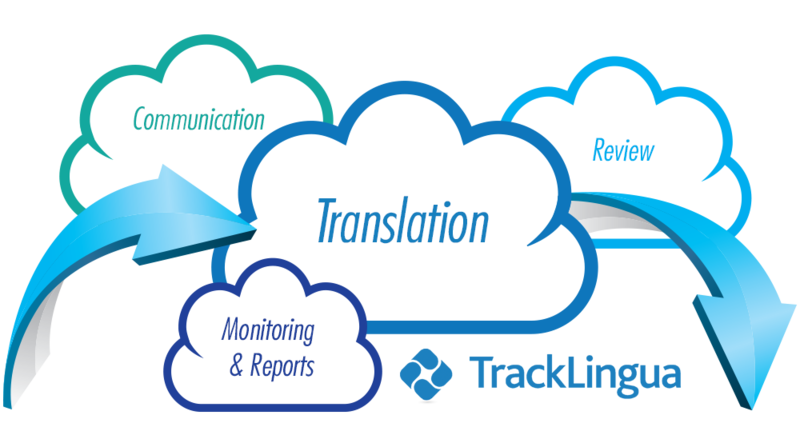 By leveraging our team of expert project managers, translators and language technology, TrackLingua enables you to implement the highest quality translations in your linguistic projects via a simple, efficient process. TrackLingua is capable of handling virtually any digital file. Instead of spending time converting to a specific format you can just upload whatever you need translating as it is, straight to TrackLingua and it will take care of the rest. Being able to view and edit the status of all your active projects is a key feature of TrackLingua. You can plan your internal work flow and keep track of all project assets including overall project completion status, proofing, validation, deadline and launch information. Specially developed forum implementation allows you to share information with colleagues, validators and translators easily, straight from TrackLingua. Privacy options allow you to ensure only the right people are able to access your posts or alternatively, you can create a public thread which is visible to anyone in your department. Each individual project has a commenting function to allow stakeholders to leave messages pertaining to key information which helps cut out messy email trails. All messages are tracked and embedded so you can follow the conversation history right from the project screen. TrackLingua combines this with a notification function so you & all involved parties are alerted when a comment is added or a status is changed. It also automatically issues reminders when deadlines or other critical junctures of a project are approaching, this ensures everyone is aware and promotes a smooth efficient workflow process. TrackLingua’s tiered user levels allow management and department heads to monitor the status of all active language projects under their supervision. This functionality provides an easy to use system for tracking team performance & managing the resources of projects at various levels. Users of the basic tier are restricted to viewing only projects they have created. Departmental level access displays the projects of all users assigned to that department. The top tier displays all projects from all users in all departments. A reporting function built right into TrackLingua allows you to produce a detailed overview of project information. This includes things such as number of projects currently in progress, completed projects, status of ongoing jobs, deadlines and user information to help you monitor productivity. Alongside a detailed archive of helpful documentation which is available 24/7 we have specialists based in the UK on hand to help you with any issues directly. We also provide onsite training to help your teams get the best out of TrackLingua at any stage. If new functionality or customisations are deployed our team will be on hand to help solve any issues you may encounter. TrackLingua’s inbuilt search function allows you to quickly and easily find specific projects based on a varied choice of selectable options or via the Quick Search which will seek simple phrases. This negates the need to sift through large numbers of projects to find the one you want and instead increase your productivity by serving up just what you need. TrackLingua’s deployment in a live commercial environment has saved a major high street retailer more than 90% on translation costs over a 2 year period. In addition it has significantly improved their overall translation workflow and guarantees consistency across product ranges. When we first engaged K International for managing our translation needs we were starting from a ‘paper and ink’ system. Quickly we realised K International offered much more than simply translation. Within a couple of weeks of deploying Tracklingua, we had a functioning online database, with an easy to use search function and a customised process for requesting new translations. Tracklingua is simple to use and easily navigated. Our input in developing this system was minimal and K International fully manage the system day to day with almost zero input from us – if only the same could be said for all my other projects! Service levels are exceptional and it’s made managing translation so much more streamlined that it’s no longer one of those problem areas for us.